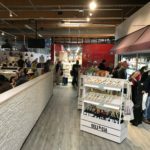 "easily the worst airport experience"
Not Verified | Abysmal customer service. Abysmal security. Endless delays, poor flight updates, cancelled flights, irate passengers and overwhelmed, incompetent staff makes for easily the worst airport experience I have endured. I will make sure I never use this airport again. This place is cheap and not cheerful. I would like to say the car hire was better but that too was dreadful. "in and out within 10 minutes"
Not Verified | It's a shed, yes. But cheap. It's small, yes. But you're in and out within 10 minutes. Apart from that, the usual airport stuff. Duty free shop with nothing you want to buy, expensive cafes and drinks. Security doing their job but not too friendly. All to be expected. Only thing was passengers personal information clearly on view on the screens. Quite interesting when you see who's on the no-fly list. ✅ Trip Verified | A very good experience, simple check in (although we did need help due to lost electronic boarding pass for my wife) efficient security and a nice cup of coffee with a Madeleine plus a free copy of New York Times made it a very pleasant wait. 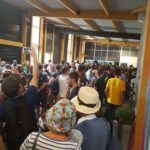 Not Verified | Having previous experience of Bordeaux airport that could be rated as fair but adequate, I was absolutely appalled to experience conditions at Billi terminal. Totally inadequate space for security check, in my opinion completely unfit for purpose. 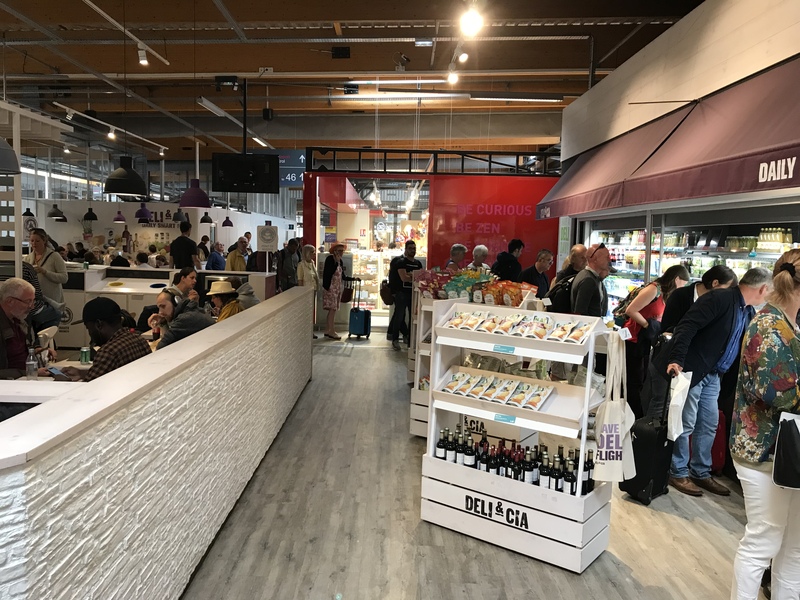 This tiny cramped area also accommodates queue for sandwich bar and those travellers who have to stand about (no seating) waiting to move to departures. No consideration given to basic facilities, notably seating for travellers. However my main complaint (and I feel so strongly about this that I am posting a review) is the aggressive and rude manner and attitude of the security personnel, male and female alike, most if not all are young people. I am an older lady and have found them on more than one occasion to be arrogant, ignorant and quite threatening. Not that its essential but a little respect for their elders wouldn't go amiss. I don't want to be barked or snapped at and from my experience they make little effort to make themselves understood. I have travelled via many French airports very satisfied and treated as a valued customer. I cant say the same for Bordeaux. "porta cabin feel to it"
✅ Trip Verified | This by far the worst airport I have ever been to. When we arrived it was late, so we just wanted to get out quickly, but as soon as we got into the building me and my husband were wondering if this was a temporary building. I thought it was temporary as it has that porta cabin feel to it. As were leaving we figured that there are two terminals – a regular one and a cheap one called Billi. As everything is poorly signed you wouldn’t know this unless you have been there before. The departures board just tells you Billi next to your flight and it’s completely up to you to figure out what that it is and where to find it. Signage is terrible – grey letters on grey background (what kind of genius came up with that?) Lifts are camouflaged with adverts and also difficult to find. While main terminal is completely empty and dead, all the action happens in Billi which is overcrowded to the point that we had to queue to get in to the building. The space is so tight that it was a struggle to find a space to stand. There is only one sandwich shop which was obviously making much more money than empty restaurants within main terminal. Toilets are also small filthy and smelly, and of course no toilet paper! The gate area was so small that there was not enough space for everyone to stand. Only 30 seats allocated to the gate. I wonder how this shed is allowed to operate? "do not care about passengers"
"everyone is herded around like cattle"
Not Verified | Worst airport I’ve been unfortunate enough to pass through in a long time. 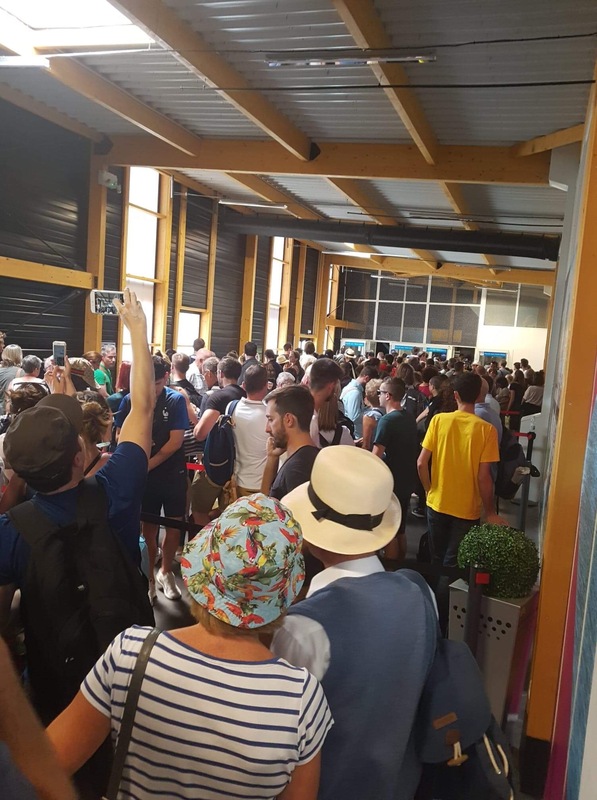 The budget airlines are operated from a shed-like extension to the main terminal where everyone is herded around like cattle, it’s boiling hot and the sorry excuse for a cafeteria costs more than the Savoy Grill. If I ever return it will be not through choice. Sad for an airport to put a downer on an otherwise nice place to visit. "minimal space and minimal seating"
Not Verified | Very 'good' example of how an airport should not operate a special terminal for low-cost airlines. Had a flight to Brussels which departed from the so-called billi terminal. Experience was like being cattle in a barn: urinals being out of use, dirty toilets, queue for the passport control (why when flying within Schengen zone?!) which filled half of the terminal. After this passport control there are: no toilets, minimal space and minimal seating. ✅ Trip Verified | We arrived then the Jetbridge needed almost 15 minutes to connect with the airplane. Later we waited for ages for our bag with priority label. And no info at all from staff. No seating options, large queue in front of dirty restrooms. Hope that check in will work better. ✅ Trip Verified | Agree with reviewer who dubbed this a tale of two airports. The cheap flights part (Billi) is a graphic and uncomfortable indication that Bordeaux airport sees the clients of Easyjet, Ryanair and Whizz as second-class citizens not worthy of sufficient or clean toilets (which were disgusting), a conveyor belt to take luggage from the bag drop, sufficient space for queueing, seats, efficient baggage reclaim, adequate space and seating at the gate. The conditions are so poor that they are guaranteed to make staff and passengers alike very unhappy. Particularly disappointing in Bordeaux which as a city is so forward-looking and apparently otherwise good at travel infrastructure. The one good point was the care with which enhanced security measure were carried out, just a pity that this could not have been done without the outrageously long queues and dearth of information. The company that manages Billi should visit Edinburgh airport for an object lesson in how to treat all passengers equally well and efficiently.